Ottawa police are looking for this man in connection with a series of "quick change scams" at local grocery stores in January. Ottawa police are looking for a wanted London, Ont. man in connection with a series of “quick change scams” that have targeted local grocery stores within the past month. Since Jan. 6 through Jan. 15, a man has been going to cash registers to purchase a small item and then asks the cashier to exchange money for large bills, confusing him or her while counting the bills. “He then takes the money out of the cashier’s hands and start counting it himself, placing some of the bills in his pocket while the cashier is still removing bills from the register,” police explained in a news release issued Thursday. In the end, the man defrauds the cashier of a “significant” amount of money, according to police. Police have identified the man as Christian Tygesen, 47, who is facing 16 charges, including fraud under $5000 and proceeds of crime not exceeding $5000. He allegedly attended grocery stores on Kirkwood Drive, Bank Street, Walkley Road, Heron Road, Merivale Road, Carleton Avenue, and Cyrville Road. 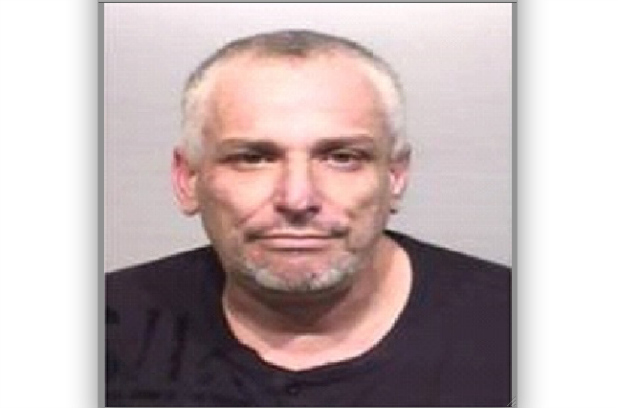 Anyone with information on his whereabouts is asked to contact the Ottawa Police Fraud Unit at 613-236-1222 ext. 5492. Anonymous tips can be submitted by calling Crime Stoppers at 613-233-8477 (TIPS), toll-free at 1-800-222-8477 or downloading the Ottawa Police iOS app. Christian Tygesen has at the most probably only hours left before the Ottawa Police put this very obvious criminal behind bars. Ottawa is Riddled with public officials who engage in what can only be called "Domestic Terrorism, crimes against children that are far more damaging than childhood sexual abuse. MARGUERITE LEWIS a lawyer for the Children's Aid Society of Ottawa. Marguerite Lewis does not deny fabricating evidence that she is a domestic terrorist who abuses children for a living. This vile example of humanity is supported by the Ottawa Police by their refusal to proceed with criminal charges. Recently the Ottawa Police actually opened an investigation into this brazen child abuser for Fabrication of Evidence and Obstruction of Justice. Sgt. John Gibbons of the Ottawa Police concluded AFTER looking at the incontrovertible documentary evidence that "She lied to the judge, its perjury". That evidence showed Marguerite Lewis committed serious criminal offences against the administration of justice, and abuse of children far more damaging than child hood sexual abuse. If you don't like Child Abusers mascarading as Lawyers in Ottawa, speak to your member of parliament and ask why is it that Professional Child Abusers have immunity from criminal prosecution from the Corrupt Ottawa Police who dropped that investigation upon a phone call with another professsional Child abusing Criminal, CAS lawyer Tracey Engelking. This petty criminal will be one of the easiest and fastest convictions in Canadian Criminal History. One of the Most Outrageous Criminals in Ottawa is the Chief of the Ottawa Police who turns a blind eye to Criminal Offences by his own vile examples of criminality and child abusers like Detective Peter Van Der Zander of the Ottawa Police. The chief can hardly claim a defense of not knowing about the Crimes against children committed by Detective Peter Van Der Zander that are more harmful than childhood sexual abuse. This vile example of humanity fabricated evidence to NOT charge one of Ottawa's most violent females who attempted to strangle the full time father. Van Der Zander then effectively removed the children from the male victim of domestic terrorism and placed them with the violent mother. As he released this violent mother, without interviewing the father or taking photographs of the heavy purple bruises or the blood and scratch marks around his neck, he expressed his concern that she might kill him "next time" with a knife, and, that "next time" she should call police first. That is, he acknowledged he was briefed by the attending officers as to the injuries on the male victim, and then Fabricated his report to make a host of false claims including a claim that she denied attempting to strangle him. The Ottawa Police, in contempt of court orders, repeatedly failed to provide disclosure of the video of that interview. When it was finally obtained it showed that Van Der Zander Fabricated his written report. You see, Van Der Zander never at any time asked her if she attempted to choke or strangle the father, and more to the point, she never at any time made that denial. If you are an Ottawa Police Officer, and you have the opportunity to look at Van Der Zander eye ball to eye ball, give him the message that he is a vile child abuser and the best thing he can do for society is to resign in disgrace.